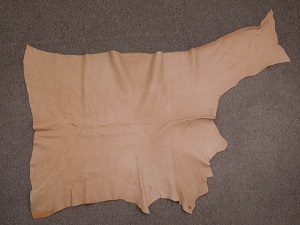 These are tannery run horse leather. 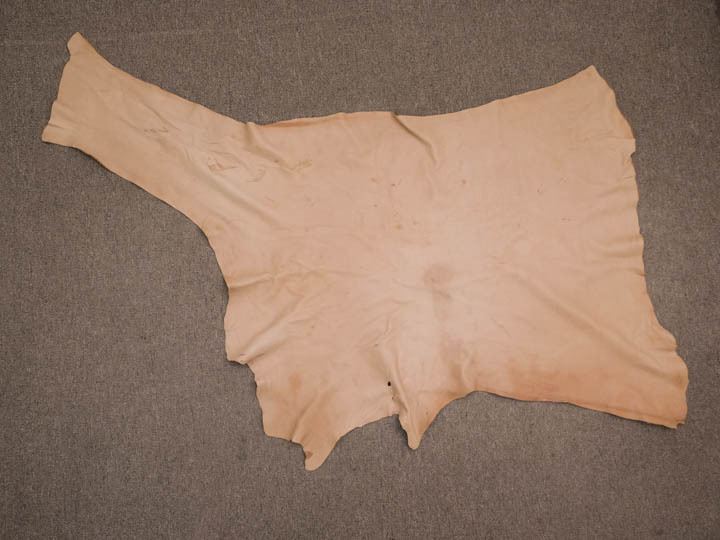 Horse leather is very strong material compared to other leather because it has very dense fibers. The hides are prone to have lots of scratches. They are good for re-palming hockey gloves and crafts. 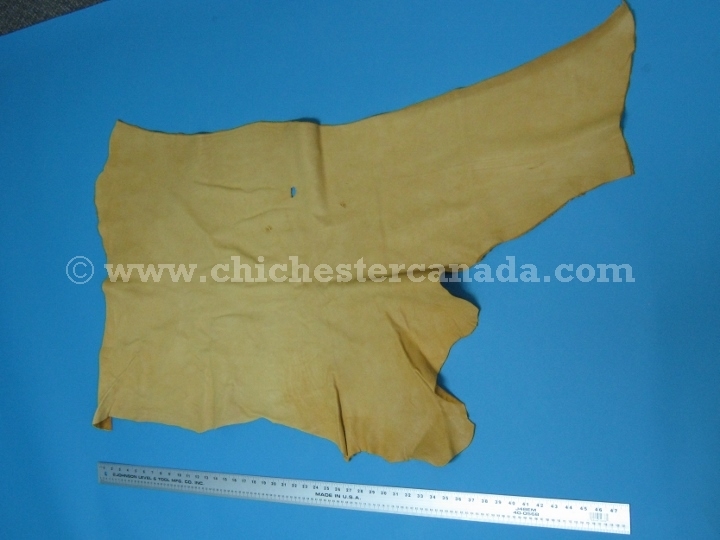 The tannery run 2 horse leather is good craft grade material. 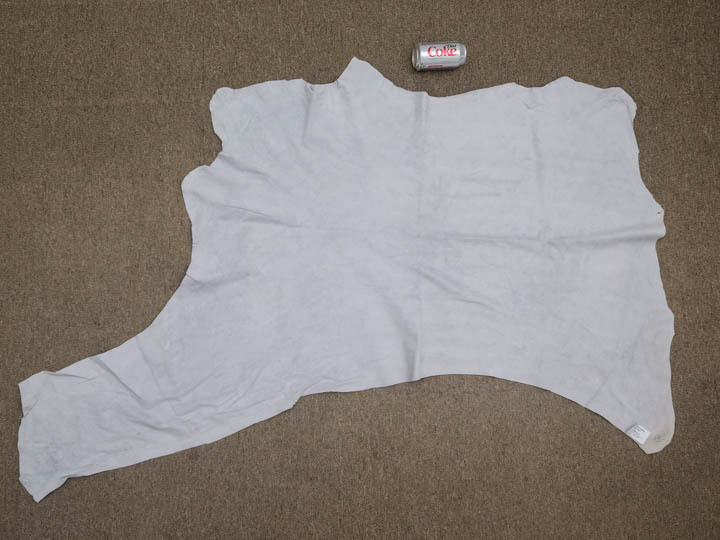 The hides have a lot of scratches and a few holes. The average hide size is approximately 14 sq. ft. and this is available in gold only. The tannery run 3 horse leather is the same as the tannery run 2 but with more grain damage. The average hide size is approximately 11 sq. ft. and this is available in gold only. 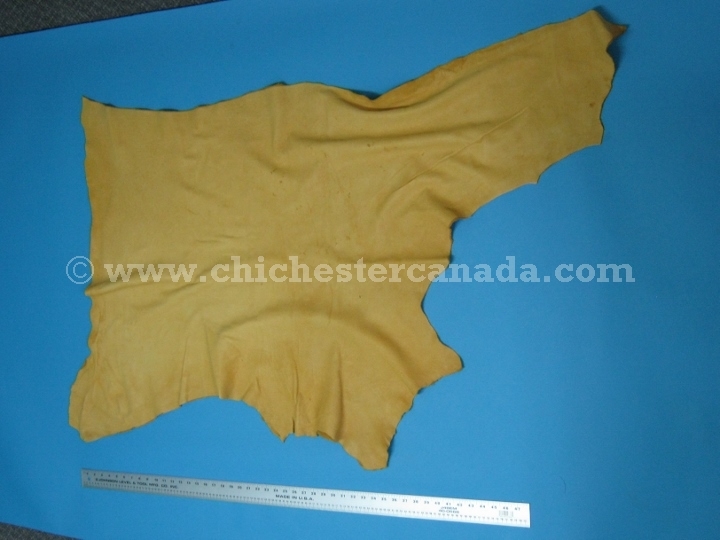 We have a nice selection of tannery run horse leather in cream and pearl. There are very few holes or cuts, and some marks on the grain side. The hides have an average size of 10 to 14 sq. ft.
We also carry reject grade horse leather in cream, which have more marks on the grain side than the tannery run leathers. 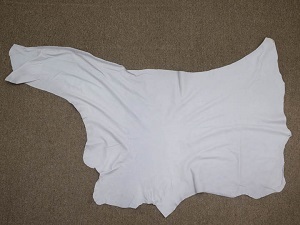 The hides average 9 to 15 sq. ft.
CR-1106-TR2-PG2 Horse Leather:Tannery Run 2:Gold:2.5 oz. C$5.50/sq. ft. C$4.50/sq. 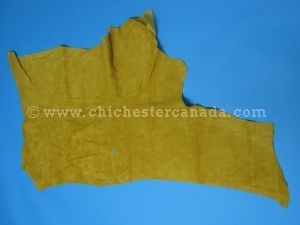 ft.
CR-1106-TR3-PG2 Horse Leather:Tannery Run 3:Gold:2.5 oz. C$4.50/sq. ft. C$3.50/sq. 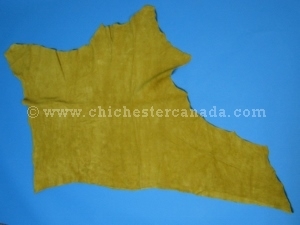 ft.
CR-1106-TR-CR2 Horse Leather:Tannery Run:Cream:2.5-3 oz. NEW! C$12.00/sq. ft. C$11.00/sq. ft.
CR-1106-TR-PL1 Horse Leather:Tannery Run:Pearl:1-1.5 oz. NEW! C$13.00/sq. ft. C$12.00/sq. 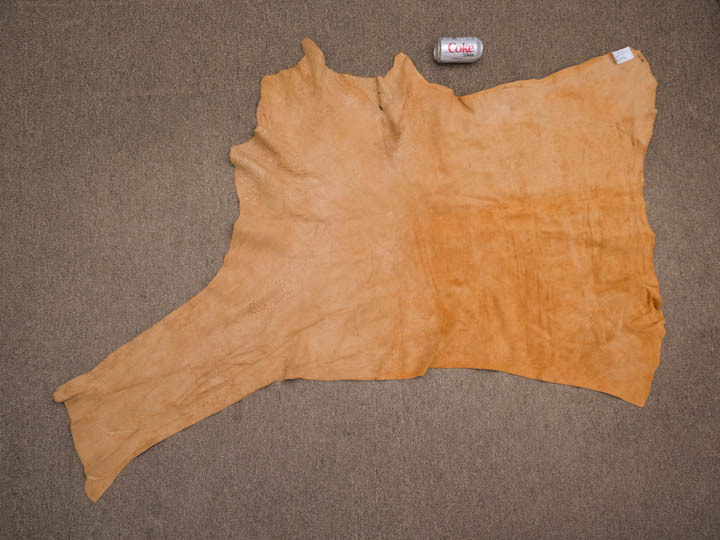 ft.
CR-1106-RJ-CR2 Horse Leather:Reject:Cream:2.5-3 oz. NEW! C$4.50/sq. ft. C$3.50/sq. ft.
Horses are not endangered and are not subject to CITES controls. 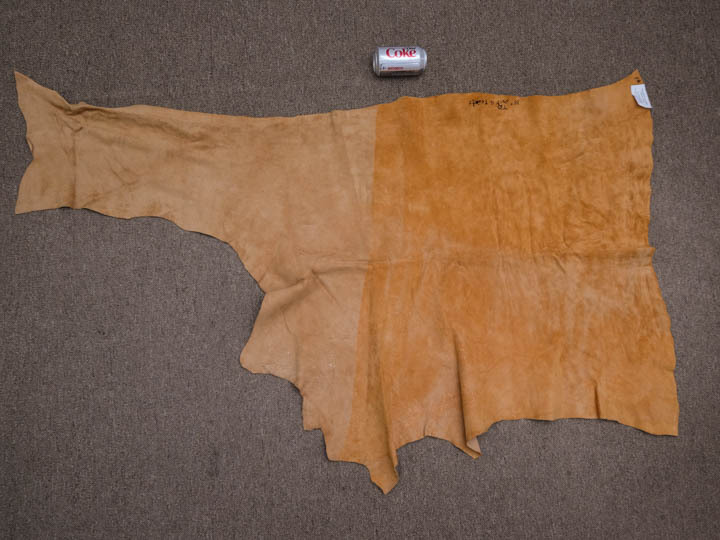 The horses have not been killed just for the hide.